The State of Minnesota has named 11 plants as noxious weeds. Invasive species are those plants and animals that crowd out other species. "Weeds" are commonly explained as being plants growing where they aren't wanted. Sometimes, a species meets both conditions. The Washington Conservation District is interested in control of invasive species because of their potential to affect ecological relationships and ecosystem function, economic value of ecosystems, and human health. The State of Minnesota has 11 plants named as Noxious Weeds. Some, like poison ivy, are health hazards to humans. 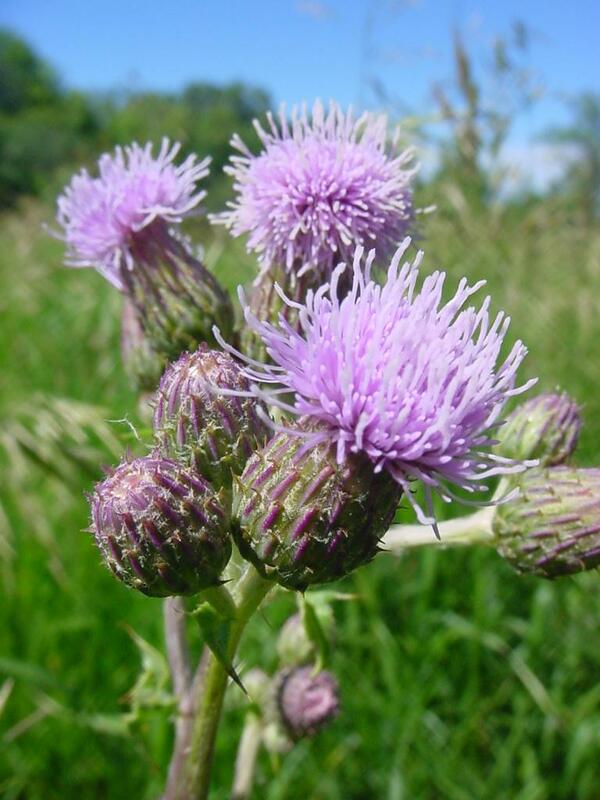 Others, such as purple loosestrife, garlic mustard, and thistles threaten both natural and agricultural environmental stability. Under State Statute and regulated by the Minnesota Department of Agriculture, these plants must be controlled or eradicated by landowners. Other invasive plants, such as common and glossy buckthorn, are controlled through restrictions on the propagation and sale of these plants. Responsibility for enforcing the regulations falls on local municipalities, and is often addressed on a local level through nuisance ordinances. Invasive animals and some plants that extend beyond individual properties, such Eurasian water milfoil, zebra mussels, and gypsy moths are still prohibited through Statute but managed through other means including education and incentives. It is unlawful (a misdemeanor) to possess, import, purchase, transport, or introduce these species except under a permit for disposal, control, research, or education. Invasive species are those plants and animals that crowd out other species, such as this amur maple. The links listed below will also direct you to information about invasive species and weeds. The WCD can help with identification of an unknown plant - email us a photo or drop off a sample at our office. As financial assistance grants become available, we may be able to provide additional assistance. We also have a "weed wrench" available to county residents to uproot buckthorn or other woody plants. Contact us at 651-330-8220 to check on its availability. Removing invasive species? Make sure you don’t spread them! Grecian Foxglove was recently added to Minnesota's noxious weed list and its range in Washington County is expanding. This flower is toxic - if you find it on your property do not touch it! Palmer Amaranth has recently been discovered in Minnesota and added to the noxious weeds list. This plant is an aggressive weed that can put corn and soybean crops at risk. Manchu Tubergourd also known as Golden Creeper, is a flowering vine species originally from northern China. The plant has showy yellow flower, heart shaped leaves, and quickly spreads underground through it’s potato like tubers. This rapid grower smothers other plants by climbing over any and all vegetation. Please contact the WCD to report new sightings in Washington County. Include an approximate address and description of the location where the plant is growing. You should also contact the Minnesota Department of Agriculture at arrest.the.pest@state.mn.us or call 1-888-545-6684. Grecian foxglove is toxic - do not touch it!